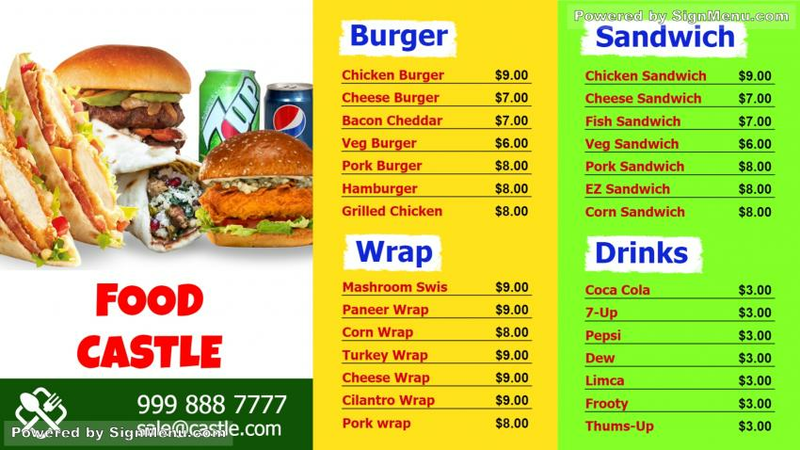 This template showcases the offerings of a fast food restaurant. The shades of green, yellow and blue give the template an elegant appearance, which enables the food menu to be perceived as qualitative. The advertiser can charge a premium for some of the menu items. You can download this template for use or edit .